Phytostandard Eschscholtzia PhytoPrevent Pileje, following extracts Eschscholtzia, promotes sleep and sleep quality. 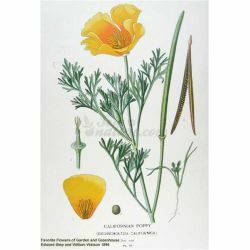 Partners with: Eschscholtzia californica IPHYM Herbalism Eschscholtzia californica C.
The Eschscholtzia (Eschscholtzia californica Cham.) Used by PhytoPrevent is organically grown in the respect of the environment. The flowering aerial parts Eschscholtzia are frozen after harvest so that the assets are safeguarded. Then involved crushing and extraction of assets by Phytostandard ® patented process, known for its respect for the integrity of assets and useful principles of the plant. 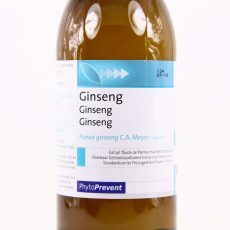 The plant extract is then obtained without alcohol. It is then freeze-dried, that is to say cold-dried, to be in vegetable capsule. 1-2 capsules per day (at bedtime). Not recommended for pregnant or lactating women and children. Fiber organic acacia extract Eschscholtzia Eschscholtzia californica Cham (flowering aerial parts) organic (support: organic acacia fiber), vegetable capsule, anti-caking agents: silicon dioxide organic rapeseed oil,..